Are you searching for a way to improve your failing financial health? Debt of any kind can leave you feeling helpless and hopeless, and it can be insurmountable if you don’t have a plan in place. Don’t let your debt control your life and your finances. Debt consolidation can reduce the amount of money you owe and put you on a path to financial stability. And it’s important to take action now before your debt is out of control. Here are the best debt consolidation options you need to consider. If you have relatives who can afford to lend you money, borrowing cash from mom, dad, or other family members is the cheapest way to start paying down your debt. When you borrow a lump sum of money from your family member, you’ll be able to reduce or pay off your debt right away. You won’t have to get approved by a financial institution, take a hit to your credit score, or worry about sky high interest rates – when you borrow from family, you have more flexibility and few risks. Make sure to treat this “loan” like any other: make payments on time and be honest and upfront with the family member you’ve borrowed from. Family is often forgiving, but ensuring you pay all of the money you borrow back will keep your important relationships intact. Nonprofit credit counseling companies will gladly teach you the secret of achieving financial security, and you’ll be given free access to beneficial resources because the main objective of such companies is to help you find the best relief solutions for your situation. When you enter credit counseling sessions, be prepared to discuss not only the leading cause of your debt troubles but also your financial goals. The details you provide will help the counselor create a results-oriented plan, which will be geared toward cutting your debt down in a timely manner. Most debt management programs are designed to help you wipe out the outstanding balance within three to five years, Debt.org¹ reports. To make it easier for you to stay in control of your finances, a nonprofit credit counselor will also provide you with advice for correcting poor money-management habits. You’ll benefit from nonprofit credit counseling in multiple ways, getting control of your debt and forming new financial habits to stay debt free in the future. If you’re struggling to reduce credit card debt, try consolidating it all in one place with a balance transfer credit card. Opening a new card has one big benefit in particular: balance transfer cards often have little to no interest for a number of months, and the payments you make will actually go toward the outstanding balance. Most people consider this method when they want to simplify their repayment plans. Instead of keeping up with multiple cards carrying different amounts of debt, you’ll only have to manage one card, so climbing out of the red will be easier and less stressful. Nevertheless, it’s important to do thorough research before you make a final decision. Some balance transfer credit cards can end up being costlier once you add up different factors like an initial transfer fee, an annual fee, and any regular interest you’ll pay if you cannot eliminate your debt during the no-interest period. If you have other assets or investments, you can use your assets to stabilize your rocky financial situation. You can borrow against those assets and consolidate your debt with two options: an unsecured loan or a secured loan. Unsecured loans, The Balance² reports, are given to individuals based on credit history and income. You may need a cosigner, or someone who will agree to pay the loan if you fail to do so. Secured loans, according to Magnify Money³, use assets like real estate, cars, insurance policies, or collectible items as collateral – meaning if you default on your loan and fail to pay, the lender can seize your assets. A secured loan may be the best choice if you have fair or bad credit. Lenders prefer to put a lien on property with a lot of value so they can recoup their money without a hassle. Because the loan is secured, you’ll be able to get a large amount of money and a low interest rate. It goes without saying that you should avoid making rash decisions when you’re planning on borrowing from your valuable assets. Failure to make payments on a loan will inevitably result in you losing the asset that’s on the line. On the other hand, if you honor your commitment and pay on time, you’ll run into no trouble. Debt consolidation is effective, and that’s why it’s widely recommended. 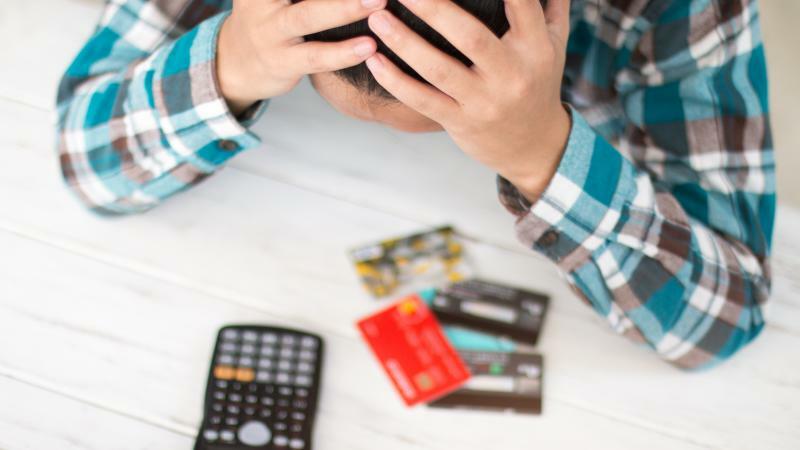 Consolidating debt makes repayment easier and quicker, and it often helps relieve the emotional burdens that come with debt. With the help of a highly trained counselor, a family member, or other consolidation options, you’ll gain the knowledge and the skills to better manage your financial responsibilities. As long as you have the means to make consistent payments, you’ll have success with debt consolidation. If you’re interested in debt consolidation, start a search today. 1 Debt.org, Debt Management Plans 2 The Balance, Unsecured Loans: Definition and Explanation 3 Magnify Money, Should You Use Your Assets to Get a Collateral Loan?